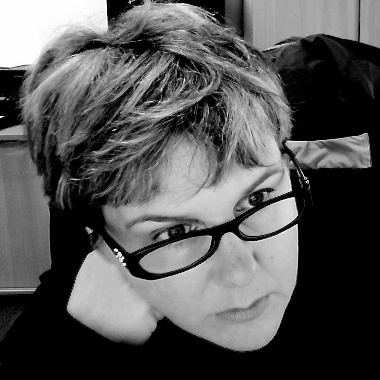 KBR warmly welcomes author Michelle Heeter with this guest post on letting go of unhappiness, the horrors of prison, and her journey to becoming a published author. When I began writing Riggs Crossing, I was just starting to swim upward from a personal and professional abyss. Four years earlier, my de facto partner Charles had been arrested and sent to prison for a serious offence. This happened just after I had been made redundant from a job that, even though it was not especially well-paid, made use of my foreign language skills. No one who hasn’t been through it can imagine the shock and anguish of getting a call in the middle of the night telling you that your loved one won’t be coming home for a long time. My anxiety was heightened because my application for Australian Permanent Residence had not yet been approved. I was terrified that Charles’s arrest would somehow result in me being deported. Too traumatised and demoralised to think about holding a 'real' job, I started working in telemarketing, a field where demoralised and desperate employees are in demand because they are easily bullied. I did market research surveys, flogged phone cards, answered the phone in a brothel, spruiked photocopying services, and arranged telephone and internet connections. The nadir of my career was manning the phones for a shonky company famed for its late-night infomercials. This is how I earned my living for five-and-a-half years. During this time, I gained twenty kilos, became addicted to anti-depressants, lost the lease on my lovely flat, and bounced through a series of wacky house-shares. I accomplished only two things in these wasteland years: getting orthodontia to correct my overbite, and getting published. This happened only because I was home one day with a cold. Bored and broke, I wrote a frothy, romantic short story in between sneezes, and sent it off to a women’s magazine. Three days later, I got a phone call from an ecstatic editor. “We love your story!” she shrieked. “Send us more of your work!” Calls like this from editors were my only moments of joy during those wretched years. Four years from the night my world collapsed, my life was slowly getting back on track. I had a tolerable call centre job where my boss liked me and protected me from the senior managers who did not. I started bicycling to work and the blubber started to melt away. Charles seemed likely to get parole. I started wondering if I should start writing seriously instead of writing fluff for pin money. I put a notepad in my cubicle and started sketching out ideas for a novel in between redeeming customers’ credit card reward points. Thanks to Charles’s stories from clink, and what I’d witnessed on prison visits, I had plenty of material. I was particularly troubled by the children and teenagers I saw on prison visits. Many of the babies looked unhealthy, with eyes that reflected worried puzzlement. Some of the toddlers were abnormally still, as if they were afraid of being hit if they moved. The most heartbreaking were the children in the care of junkie mothers. I still remember two blond angels who were so hungry for attention that they ran up to me, grabbed hold of my hands, and engaged me in conversation (their mother was busy telling another junkie that she’d bought some 'stuff' off so-and-so). What becomes of a child whose father is in jail and whose mother is incompetent or absent? This question, which haunted me like the faces of those two children, became the basis for Riggs Crossing. I started writing in the first person, thinking of the faces of the kids I’d seen to try to find the right voice. I remembered the desperately unhappy-looking sixteen-year-old girl who’d been tasked with holding her mother’s youngest baby. Mum was too busy being lovey-dovey with her much-younger gangster boyfriend to tend to the baby or her four other children. I thought of the teenage girl with razor-sharp cheekbones and eyes like cold blue steel, her curly hair scraped back into a tight bun. I wondered about the morbidly obese kid who’d been clothed by someone who thought it was fine to let a ten-year-old wear a t-shirt featuring a pro wrestler giving the finger with both hands. A single voice emerged as the narrator of Riggs Crossing, and the other faces became supporting characters. Charles was released on parole, I quit call centres, and Riggs Crossing made the rounds of the publishers. The book found a home at the sixth publisher I sent it to. Charles tended bar at my book launch, at which one of the guests was a friend who’d been made into a character in the book. As I signed copies and gave a reading for my guests, I wished that those prison visit kids who’d inspired my novel could be there. It would be my dearest wish that they someday read my book. 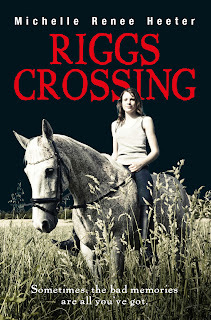 Riggs Crossing is published by Ford Street Publishing. Learn more about Michelle at her website.